Violinist Darryl Way left Curved Air earlier in the year to form Wolf and assembled a remarkable collection of talent: a young John Etheridge had his professional start here on guitar, while Ian Mosley had previously drummed for Walrus. American Dek Messecar joined on bass and vocals, and King Crimson’s Ian McDonald produced the ensuing debut album. Needless to say, expectations were high. Way carried on his brand of Progressive rock, predictably mixing classical elements with heavy rock. The first side contains vocal numbers, though unfortunately Messecar’s voice proves non-descript. "The Void" clicks along and "Isolation Waltz" gets down right heavy; there’s a slightly psychedelic and spooky feel they’re aiming at and ultimately achieve. The second side is instrumental (with fairly democratic composition credits) and proves more successful. "Cadenza" is a regular hoot, highlighting Way’s acoustic violin and some nice clean guitar lines from Etheridge, while "Chanson San Paroles" features Way’s considerable keyboard skills. The band recorded a second album, Saturation Point, shortly after, as it was also released by Deram the same year. 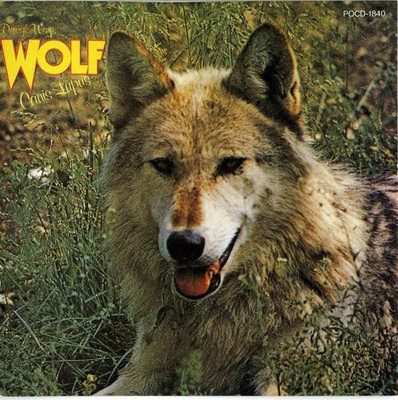 Wolf then added John Hodgkinson from If on vocals and cut what would be their final album, Night Music. In mid 1974, Way returned abruptly to Curved Air, ostensibly for a reunion tour to pay off an outstanding VAT bill. Ultimately he stayed on, bringing Wolf to an end. There’s a happy ending though: Etheridge joined Soft Machine and Messecar went on to Caravan. Mosley recorded an album with Dutch progressives Trace before winding up a founding member of neo-prog heavyweight Marillion in the 1980s. Thanks for spending time on the computer (wtrinig) so others don't have to.